Kotobukiya has brought you Earth’s Mightiest Heroes as 1/10 scale Marvel Comics ARTFX+ Statues! The latest series of high quality 1/10th scale ARTFX+ figures celebrates iconic characters appearing in Spider-Man titles, and up next after Peter Parker is his parallel Earth counterpart, Ultimate Spider-Man! Miles Morales was bitten by a spider infused with a formula to instill spider powers, and after the death of Peter Parker the teen adopted the Spider-Man identity and set off on a path of crime-fighting. 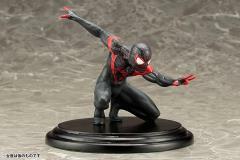 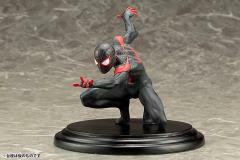 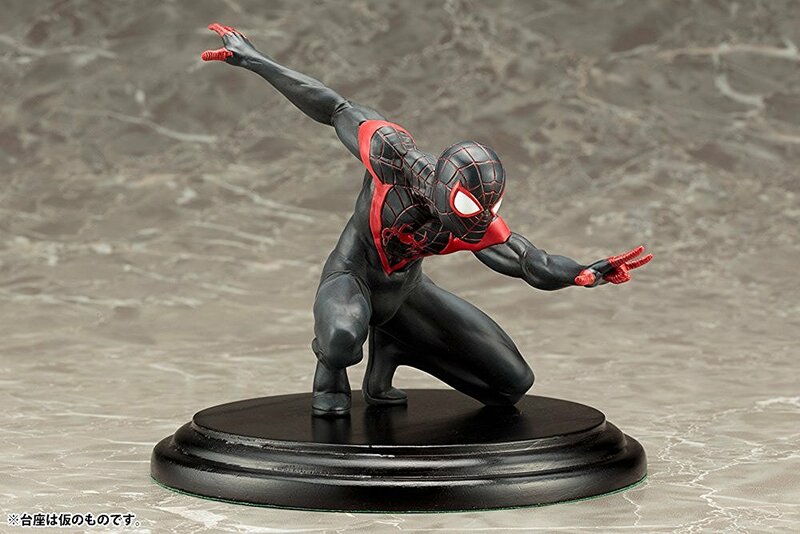 Miles became a worthy successor to Peter and a full-fledged hero on his own... and now he triumphantly joins the Spider-Man ARTFX+ Statue lineup! 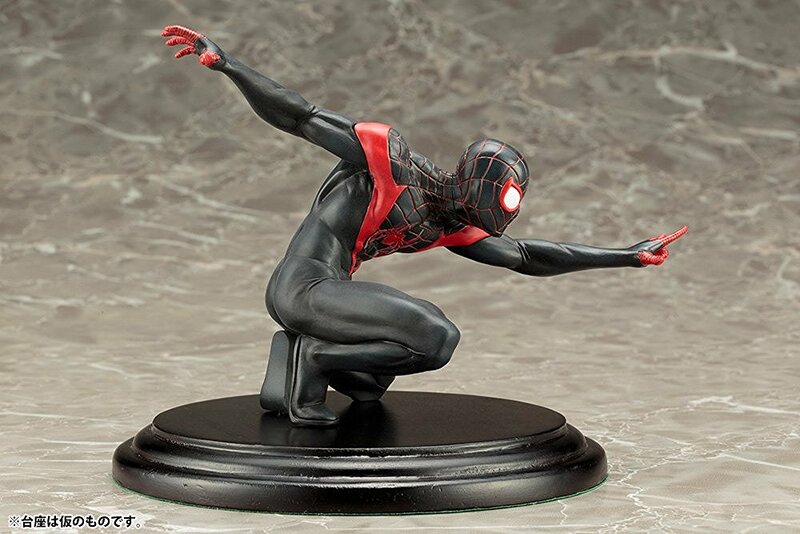 Leaping into the fray to defend the innocent, Ultimate Spider-Man dives into the action in a powerful pose. 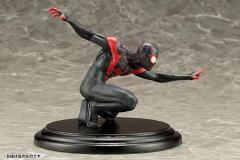 Miles crouches low as he moves forward, his body coiled and ready to strike. 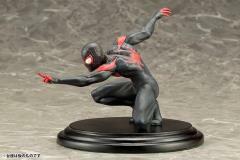 The hero’s right arm is extended backwards for balance while his left reaches forward to shoot a web at his enemies. 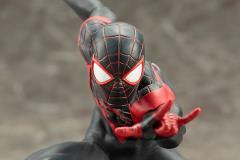 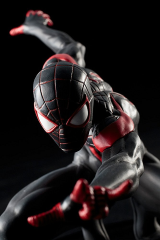 Ultimate Spider-Man wears his distinctive costume, a variant of the classic version in black and red with bright white eyes and a deeply sculpted web pattern. The dark color scheme and bright highlights along with the lifelike feel of Miles’ pose and the intricacies of his sculpted physique make for a stunning presentation. 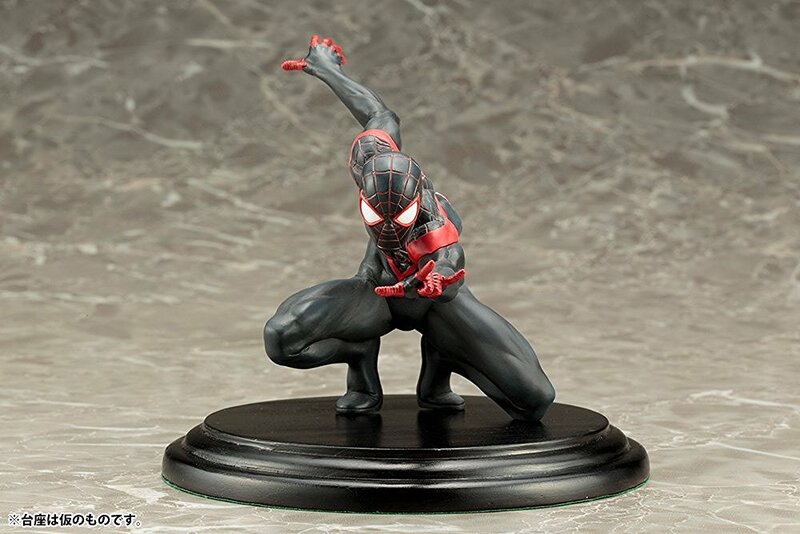 Sculpted by the same master artist responsible for the Marvel Now! 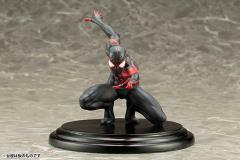 Avengers and X-Men series, Junnosuke Abe, Ultimate Spider-Man is just over 4 inches tall while crouched, and has magnets in his feet to provide perfect stability on his included display base. 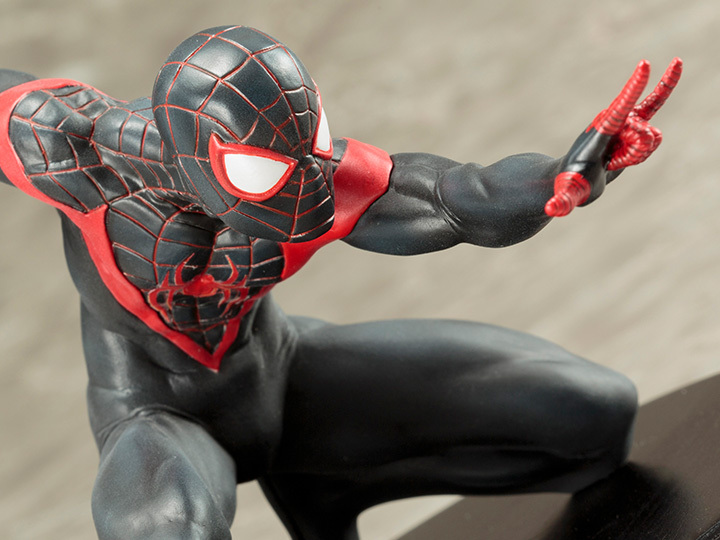 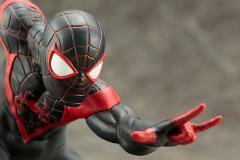 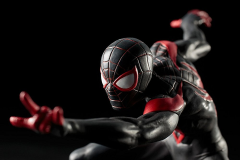 Miles Morales looks great on his own and pairs perfectly with other Spidey-related ARTFX+ Statues from Kotobukiya like the Amazing Spider-Man, Spider-Gwen, and more! Depicts Spider-Man crouching and posed, ready to fight crime!